What is sleep paralysis and what happens? 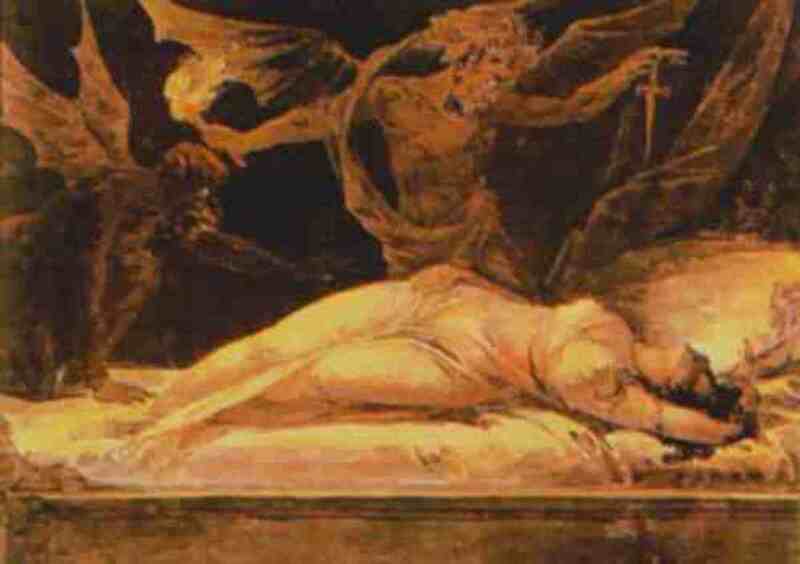 Sleep paralysis happens when waking from sleep, or less commonly falling to sleep. You will find upon awakening your whole body paralysed, and you may not be able to speak. As terrifying as this is, sometimes you will also experience hallucinations, such as witches or ghosts in the room with you. 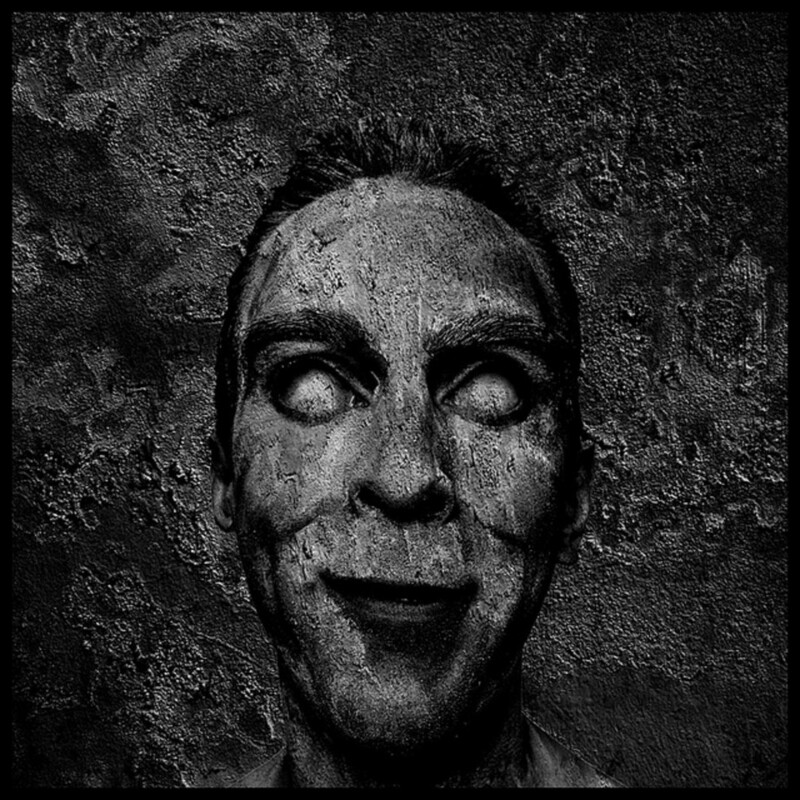 Sleep paralysis occurs during a disrupted REM (rapid eye movement), completed by muscle weakness that prevents you from acting out your dreams. It is believed the main causes are, irregular sleep patterns, sleep deprivation, and most commonly narcolepsy. Some people will only experience sleep paralysis once or twice in their lifetime, while others will experience this every week. It is more common in teenagers than adults or small children. This is more likely to happen when you sleep lying on your back. You will feel like something is holding you down on top of your chest, and stopping you from moving and breathing. Sleep paralysis is also sometimes a symptom of some types of MS, or occurs a lot with people who suffer bad migraines. If you suffer from sleep paralysis, you should see your doctor. If its a regular occurrence for you, you may be referred to a neurologist, to talk about what could be causing it. My experience of sleep paralysis. Ever since I can remember I have always suffered from very scary and vivid nightmares. As early as five years old I had one recurring dream involving being chased by a small man with a knife. As I grew older this particular dream stopped happening. Yet I still have nightmares of the same nature. They are very disturbing as I am a nice kind hearted person in life, and I always used to think, why? What makes me dream these awful things? I first suffered from sleep paralysis 2 years ago. Aged 22 I was living alone, very independent, healthy and happy. 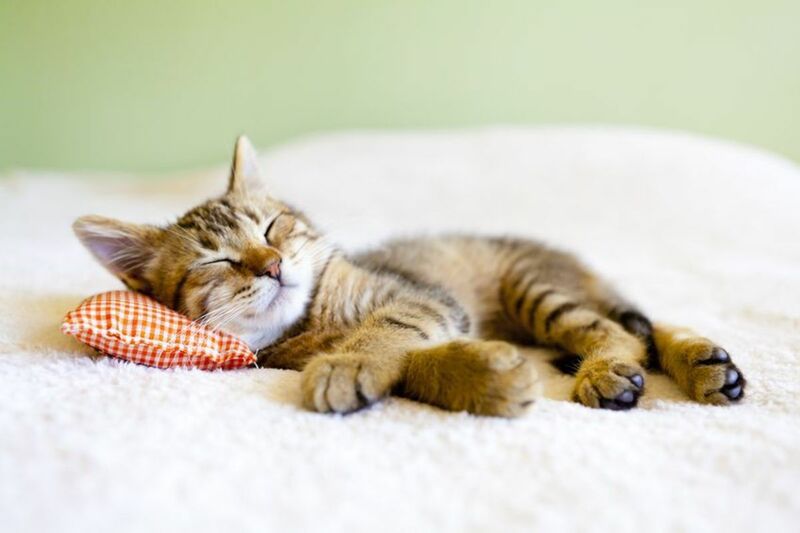 I had always had problems with sleep, but the week it happened my sleep pattern had been quite normal. I awoke around 1am, completely paralysed, unable to shout out and panicked. I moved my eyes down and saw in front of me, in my own bedroom, an old woman in brown rags, sniggering at me. My heart flew out of my mouth and I pushed with all my might to break out of the paralysis. The woman was so clear, and right next to my bed. It was petrifying. When I finally broke out of paralysis, I jumped up, switched all the lights on and checked the doors. I sat there all night, trying to figure out what it was. I was definitely awake, I was not asleep or dreaming, so how could this happen? 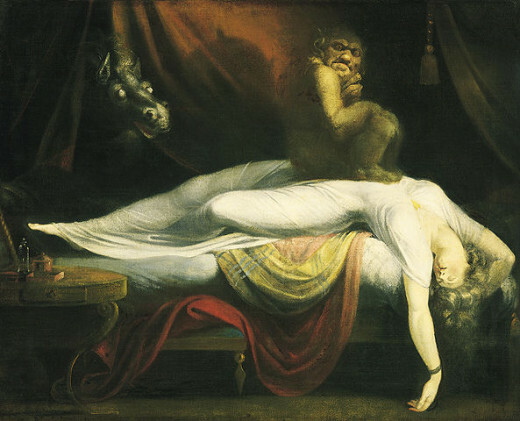 I had never heard of sleep paralysis before, and all I could think of was that maybe id been possessed by something. The following day I was worried to tell anyone, I just thought they'd laugh at me, as it was so unbelievable, or just shrug it off as a 'bad dream'. I knew it wasn't a dream, if someone told me it was how would I convince them it wasn't? After a few days passed I called my mum and together we researched what it could be. That's when I found out about sleep paralysis. It continued to happen, some weeks i'd have 3 episodes a week, others just once a month. Although having paralysis and noises around me, there were no ghosts. Then about 6 months after my first experience, I was moving house. All of my bags were packed and my place was full of boxes and bin bags, I fell asleep on the sofa. I awoke about 1pm again, paralysed. On the other side of the sofa, was a white man, as tall as the ceiling, and thin, no curves. He had a hood, and no face, just a black whole with what looked like flies all over it. He stood there 4 feet away, slowly nodding his head at me. I was absolutely petrified. This time I was convinced I was going to die, he was right there and so tall and scary, behind me I heard a tapping noise at the window. I was so trapped. Since then, thankfully, I have had no hallucinations. The paralysis still happens, and I find myself falling into paralysis a lot, and quickly jumping out of it. I have had MRI scans and sleep studies. I am a possible narcoleptic. If you are suffering from these attacks, please don't suffer alone. I did that for just 3 days, and it was so worrying and scary. You should talk about it, more people suffer from it than you would think, and of course, see your doctor.